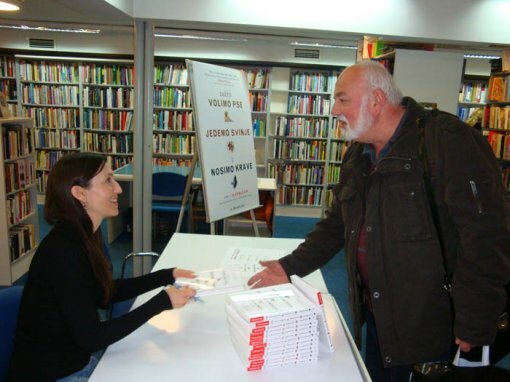 The long awaited book by highly praised American professor Melanie Joy, Ph.D. Why We Love Dogs, Eat Pigs and Wear Cows: Introduction to Carnism has finally been translated to Croatian, published by the publishing company Dvostruka duga and Animal Friends. An innovative book which introduces a new term and which encourages discussion and reflection, it speaks about the way we were imposed to think in certain terms and how that separates us from ourselves and other creatures. Starting with the question: "What makes us love some animals, and eat others?," "What influences our choices of food and how?," this book reveals the social rule which is so deeply integrated in our collective behavior that it has become the system which is imposed as an imperative in all aspects of our relationship toward food. 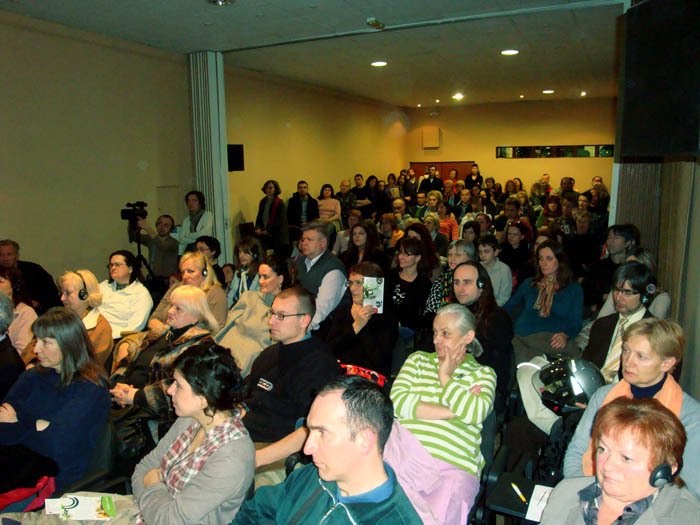 The press conference will be held on Thursday, March 15, 2012, at 12 noon at the "Bogdan Ogrizovic" Public Library, Preradoviceva 5, in Zagreb, and on Friday, March 16, 2012, at 1 P.M., at Osijek City and University Library, Youth Club - Hell Orange, Europska avenija 24, in Osijek. This is a unique opportunity to familiarize yourself with the work of one of the best writers and speakers in the field of animal rights, whose book shook the usual ways of thinking. It is an opportunity to familiarize yourself with the new term introduced in this book - carnism - and discover its meaning! 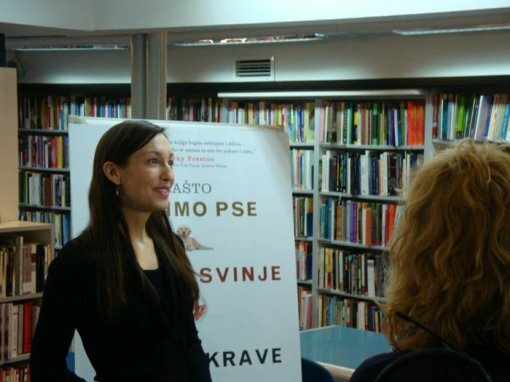 Melanie Joy, Ph.D. will present the book to the Croatian public in her popular lecture "Are We Carnists?" 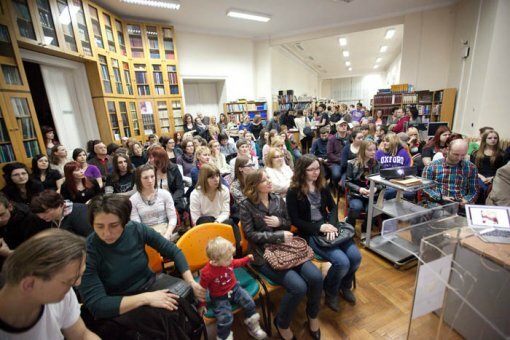 on March 15, 2012, at 6 P.M. at KIC Center, Preradoviceva 5, in Zagreb, and March 16, 2012, at 6 P.M., at the Osijek City and University Library, Europska avenija 24, in the organization of Association Pobjede. 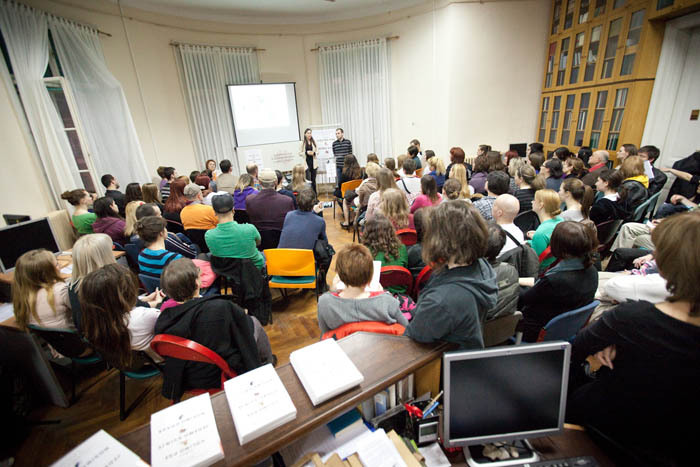 The interactive lecture, which will reveals the psychology of carnism and connection with our own belief system, with its encouraging and new insights has thrilled thousands of students and citizens across America. The lecture in Zagreb will be simultaneously translated, and the one in Osijek will have consecutive translation. Admission to both lectures is free. 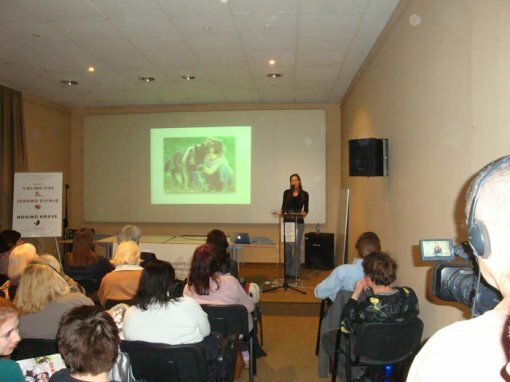 Melanie Joy is a professor of psychology and sociology at the University of Massachusetts in Boston. She has a PhD in social psychology from Saybrook Graduate School and a Master's Degree in didactics from Harvard Graduate School of Education. She is the author of numerous articles on psychology and a handbook for activists Strategic Action for Animals: Handbook on Strategic Movement Building, Organizing, and Activism for Animal Liberation. A careful analysis of the belief system which enables us to eat some animals, and not others, makes this book exceptional and a must-read for everyone, since it, in a careful and deliberate way, encourages rethinking our relationship to other creatures. A gradual revelation of the complex system which runs our choices and feeds our prejudice, Melanie Joy, Ph.D. enriches us with discoveries which enable us to realize the bigger truth and to resist institutionalized practices which we do not agree with. Thus she changes our attitudes and reminds us that we are free creatures with the gift of empathy and reason for other people and other creatures. Melanie Joy will talk about the new way of activism and the way to sensitize people to the subject of carnism in her workshops for vegetarians and vegans, on March 17, 2012, in Osijek and Zagreb. 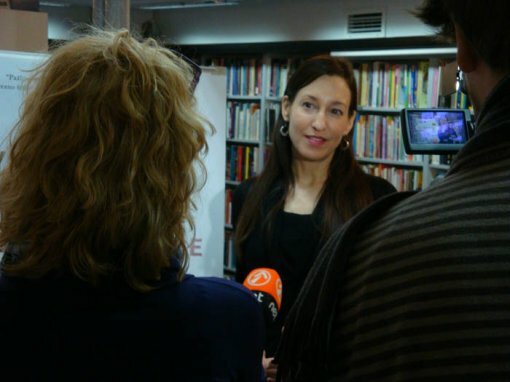 You can apply for the workshops with the application form, where you will also find three short videos on the book and work of Melanie Joy, Ph.D..
Melanie Joy's book is available in bookstores at the price of 99,00 kuna. Before the promotion and at the promotions on March 15 and 16 it will be available for a minimum donation of 69,00 kuna. All the proceeds go to the fund of the library Those Equal Creatures, started to ensure further publishing of the books. The promotion of the book Why We Love Dogs, Eat Pigs and Wear Cows: Introduction to Carnism is part of the Gruntvig project. Encian, Europlakat, Vectordesign, ID KONGRES, Iskon and Zagreb City Office for Agriculture and Forestry helped in the realization of this project.